Cpl. Kendall W. Wallace, son of Mr. and Mrs. E. M. Wallace, graduated from Frederick High School. 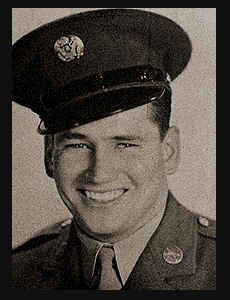 Entered Army in Jan., 1941, trained in Ft. Sil, Okla., Camp Barkeley, Texas, Ft. Devens, Mass., Pine Camp, N.Y., and Camp Pickett, Va.; served in Sicily, Italy, France and Germany; is now discharged. Awarded Am.Defense Ribbon, Good Conduct Medal, EAME Ribbon withone Silver Star, four Battle Stars, Bronze Arrowhea.